Mike Pompeo kills two birds with one stone, says geopolitical analyst Phil Butler, commenting on former US Secretary of State Rex Tillerson's ouster. "The former CIA boss is looped in with the military industrial complex instead of big energy. So, given the unbelievable Brit and American shift to sword-rattling war footing from Britain's [Prime Minister] Theresa May and others this week, expect to see Raytheon stocks climb. And on another note, Tillerson really does think Trump is an idiot, and Trump needs 'yes men' badly," Butler, author of "Putin's Praetorians: Confessions of the Top Kremlin Trolls," told Sputnik. On Tuesday US President Donald Trump announced that he fired Tillerson as he was "not thinking the same" as the former secretary of state. "We got along actually quite well, but we disagreed on things," Trump said. "We were not really thinking the same." However, Tillerson's ouster has not come out of the blue: On November 30, The New York Times reported that the US president was mulling over replacing Rex Tillerson with Mike Pompeo, citing senior administration officials. According to observers, Pompeo's appointment is unlikely to diffuse the US' growing contradictions with Moscow, Tehran and Damascus. Quite the contrary, the new secretary of state may make things "even worse." "I do not see Mr. Pompeo's appointment assisting in that area. If anything, it may get even worse and of course with no evidence to support any accusations," Washington's Eurasia Center Vice President Earl Rasmussen told Sputnik Tuesday. Pompeo has repeatedly criticized Russia for its involvement in Syrian affairs. He also branded Syrian President Bashar al-Assad "a puppet of Iranians" and insisted that with Assad in power "America's interests in the region "will not be well served." Yet another alarm bell sounded Monday when US Ambassador to the United Nations Nikki Haley signaled that Trump is prepared to order a new attack against forces of the Syrian Arab Army over alleged use of chemical weapons. "It seems to me these people are in crisis mode over Syria and their overall game not playing out perfectly," Butler said, commenting on the issue. "Haley is just a tool, so only watch what she parrots, and forget focusing on what amounts to a cheerleader for a really Machiavellian team." 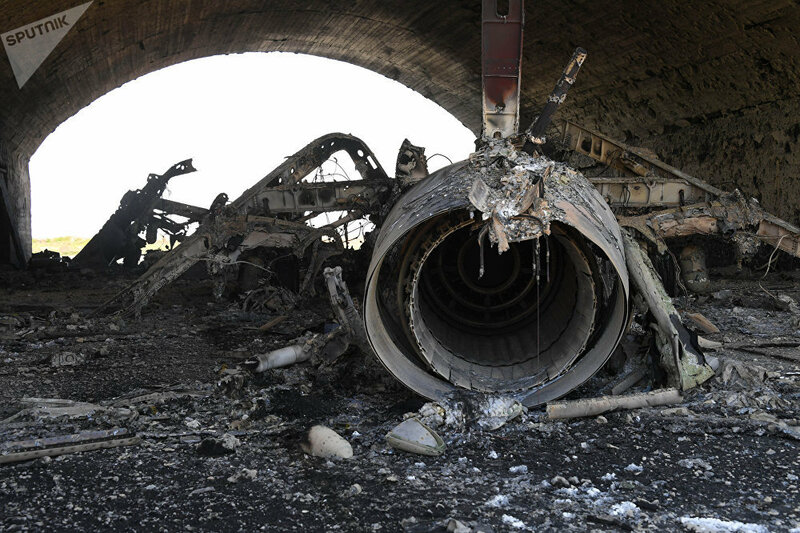 Nearly a year ago, the US fired a barrage of cruise missiles at the SAA's Shayrat airfield over a non-verified chemical attack in the town of Khan Shaykhun in the southern Idlib Governorate. The crux of the matter is that the US presented virtually no evidence to justify its "retaliatory strike." Later Pulitzer-Prize winning journalist Seymour Hersh published an exposure, further throwing Washington's "chemical attack" narrative into question. 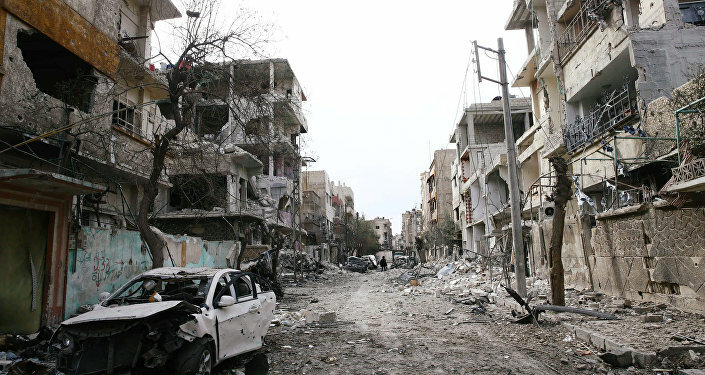 However, it seems that a lack of evidence does not discourage Washington from making new allegations against the Syrian government. Over the past few months Haley has repeatedly accused Damascus of using poisonous substances against its civilians in Ghouta. Amid the mounting hysteria, the US ambassador has somehow failed to back her claims with any proof. Much in the same vein, on the other side of the Atlantic Ocean British PM Theresa May pointed the finger at Russia, blaming it for poisoning ex-GRU (Russia's Main Intelligence Directorate) colonel and former UK intelligence spy Sergei Skripal and his daughter. Citing no credible evidence, May has initiated nothing short of expelling 23 Russian diplomats from the UK. "Theresa May's demeanor and crazy allegations in parliament indicate a knee jerk fear response by whoever stands behind," Butler noted. According to the analyst, it is only the beginning. "Look for these people to hit below the belt once more," he warned. "I'll give odds the UK and other 'allies' pull out of the World Cup soon. The coincidences of various kinds of provocations leading to sanctions were set after Euromaidan [Revolution in Ukraine in 2014]. These are not sportsmanlike leaders, if I may put it mildly." The ongoing smear campaign against Russia which is being waged on virtually all fronts by the US and its allies reflects a very disturbing trend, according to the geopolitical analyst, especially in the light of America's new nuclear doctrine, National Security Strategy and Fiscal Year 2019 Budget proposed by the Trump administration. The documents unanimously dub Russia and China as America's primary rivals and call for "longstanding strategic competition" with the countries. Butler believes that amid tensions artificially fuelled by the West, Putin's March 1 address to the Federal Assembly sent a clear message to Russia's American and European partners. Among other issues, the Russian president presented the country's new unstoppable cruise missile armed with a nuclear warhead. The new weapon boasts a practically unlimited range and unpredictable flight path. According to Butler, this is a logical response to Washington's new nuclear strategy which "permits the US to use nuclear weapons if any 'strategic interests' are threatened," as CIA veteran Philip Giraldi summarized in his February interview with Sputnik. "Vladimir Putin's message was a response to this Trump "[nuclear] posture" and the Pentagon running Washington," Butler said. "Most people did not get the deeper implications of Mr. Putin's message, which I believe was aimed at the leaders of this 'world order' we see scurrying about now." The geopolitical analyst stressed that Putin's missile demonstration had nothing to do with saber-rattling. In contrast, it is a wake up signal for those who remain stuck in the Cold War mindset. 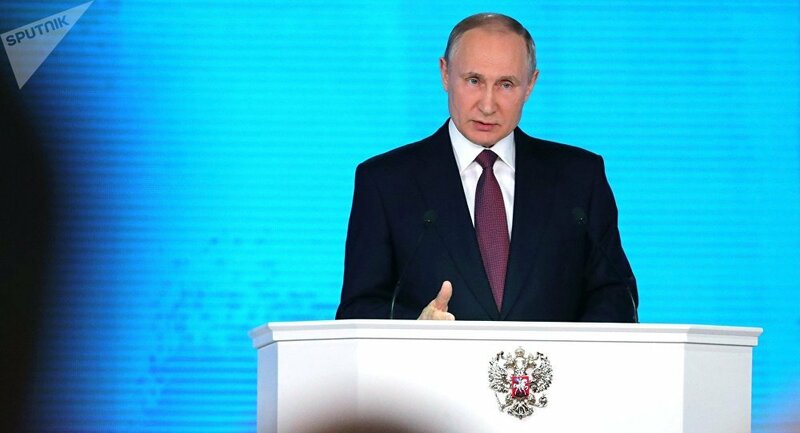 In his March 1 speech, Putin emphasized that Russia's new strategic weapons are being created "in response to the unilateral withdrawal of the United States of America from the Anti-Ballistic Missile Treaty and the practical deployment of their missile defense systems both in the US and beyond their national borders." The Russian president referred both to NATO's continuous eastward expansion and the deployment of new US missile defense installations in Europe, South Korea and Japan in close proximity to Russia's borders. 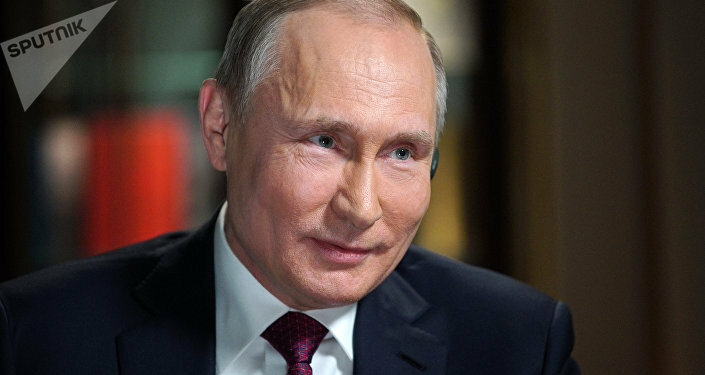 "Despite our numerous protests and pleas, the American machine has been set into motion, the conveyer belt is moving forward," Putin stressed. "If we do not do something, eventually this will result in the complete devaluation of Russia's nuclear potential." The views and opinions expressed by Phil Butler, Ekaterina Blinova are those of the contributors and do not necessarily reflect those of Sputnik.